Home > Patient Care > What if Surgery Goes Wrong? Although it does not happen very often, there are occasions when planned or emergency surgeries do not according to plan and the surgeon has to perform an alternative procedure than the one expected. Sometimes when the patient has been anaesthetised and the surgeon begins the planned procedure an unexpected finding may occur. Sometimes this necessitates input from another surgeon with a different speciality to help manage the case. It is in the patient’s best interest to have this input as their care is paramount. Every surgeon will know their limits and know which other surgeons are trained and experts in other surgical fields. When they come across something that exceeds their boundaries they are responsible for calling for a second opinion. Often the most likely scenario for emergency surgery to take place in the private sector is when a post-operative bleed occurs which can usually be managed quite quickly and effectively. If this occurs in a busy NHS operating department, the extended expertise is usually not far away but in the private sector it is not uncommon for there to be only one or two surgeons in the building that cover their own specialties. What Happens To Private Patients In These Instances? Any surgeon operating in a private sector will have access to details of other surgeons in the area that are experts in other fields. If, in the event of an emergency or the surgery does not go as planned they are able to contact whichever suitable surgeon is on-call for the area and ask their opinion. If able, the other surgeon may come to the private hospital to assist in the procedure or if the patient is relatively stable may be transferred to whichever hospital can more appropriately deal with the problem. Does This Affect My Insurance? Any private patient in the UK who is a British citizen continues to be entitled to NHS treatment if they need it or select it. Emergency procedures are treated as necessity so this will not affect your insurance though you will still be charged through your insurance) for the original procedure that was intended to be carried out. If however the procedure is carried out in the private hospital and a transfer to an NHS hospital is not required and other equipment is needed that is very costly this may incur a further charge as it will come out of the private hospitals budget. Each private healthcare provider and insurance company will have their own policies and procedure for events such as this, and it may be beneficial to find out exactly how they manage these instances when you are taking out your policy or before you have treatment. If you are paying on an as and when basis for a one-off treatment you will pay as normal and received the emergency care through the NHS. Most patients who ‘buy’ their healthcare on an as and when basis, are seeking cosmetic or plastic procedures. It is very rare for any plastic surgery or cosmetic procedures to ‘go wrong’ and incur an emergency procedure but it is advised that advice on this issue is sought before the booking for surgery is made. 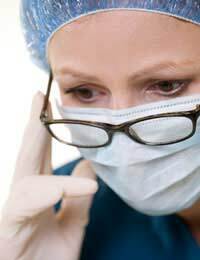 It is very uncommon for any emergency surgery to be needed in the private sector or for surgery to go wrong but there will always some provision for this eventuality whether this means bringing another surgeon to the private hospital or transferring the patient to another unit if they are stable and it is required.